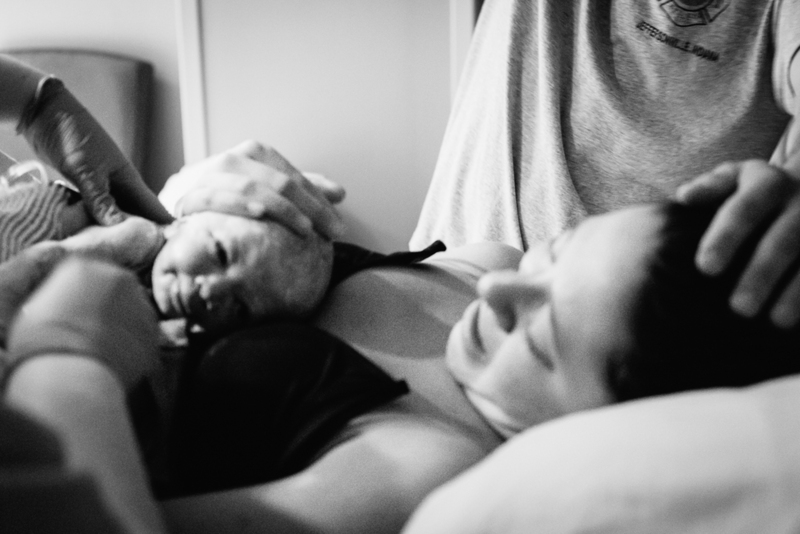 Birth photography is something that I've become more interested in over the past year. 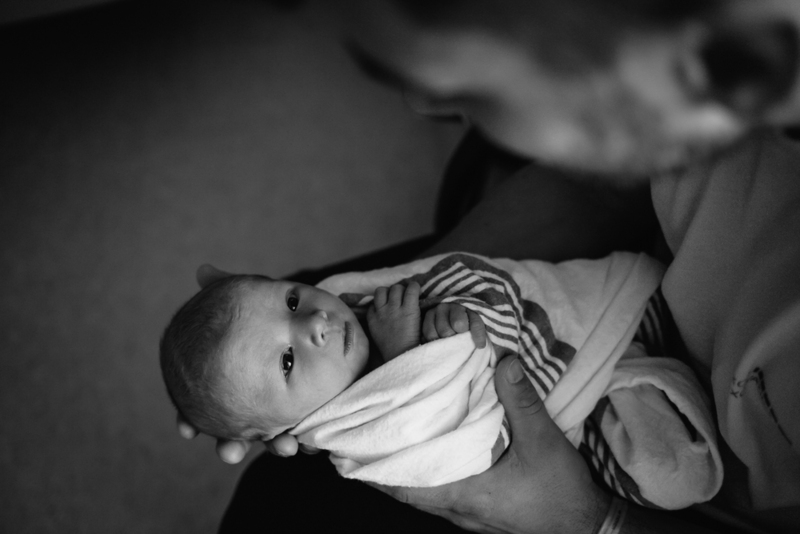 After the first birth story I shot, I was hooked. 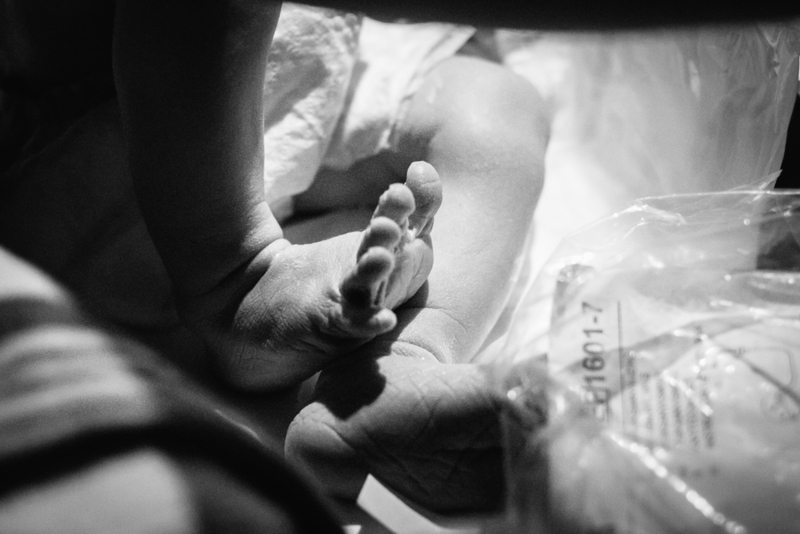 There was something about the energy, the emotions, and the excitement of welcoming a new little soul into the world that made me want to pursue that type of photography more. But, in the hustle and bustle of a busy schedule and busy life I put it on the back burner. Moving in a different direction with my business took time and energy to plan and decide how to make it work, and it was time and energy that I just didn't have at the time. Fast forward one year... We have now welcomed our first baby into the world. Our sweet William Blaine has re-opened my eyes and is making me look at life from a different perspective. Not only that, he has had an impact on the way I view my business and the way I spend my time when I'm away from him. My time is so much more precious now, and when I'm away from my baby I believe I should be doing something I am passionate about... Something that is important to me. Which has now led me back to the idea of specializing more in birth photography (as well as continue with children & family photography). Why now? Before experiencing pregnancy, labor and birth, and becoming a mother, I never knew what it actually felt like. I was looking in from the outside with a lens that didn't actually know the emotions that come along with the life-changing experience. I thought it was beautiful, but it wasn't quite real to me yet. Now it is. I know what it feels like to carry a child for 9+ months. To feel a little life growing inside of you... feeling its dancing and movements and daydreaming about who he or she would become. I know what it feels like to watch your body change in a way you never knew possible and to realize what it was capable of doing... What I was capable of doing. Now I know the excitement and joy that comes along with having a child. I also fully understand the worry, anxiety, vulnerability, and fear that comes along with it, also. I know how it feels to doubt yourself mentally and physically and to know that the process that will bring you the greatest gift in life may also be the most challenging thing you ever go through. And now I know how amazing the entire experience is... Every second of it. 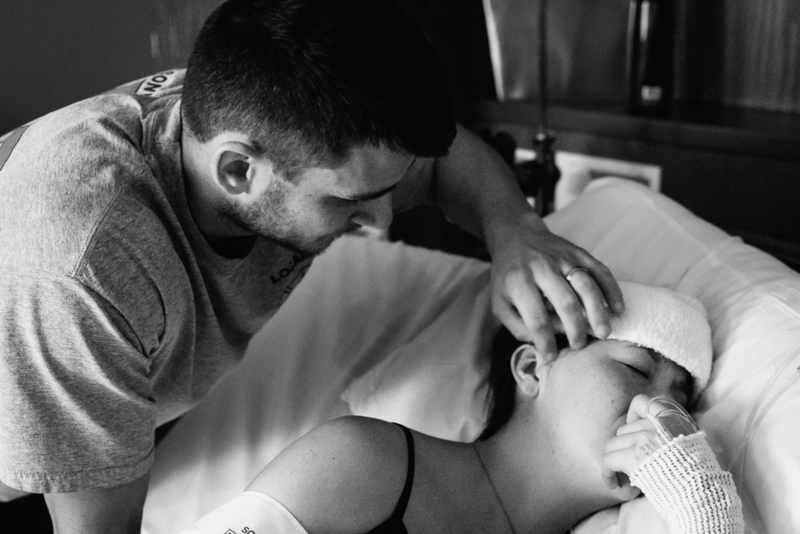 Whether there's medication involved or you have a natural birth, a room full of supporters or a quiet room with only you and your partner, a 5 hour labor or a 48 hour labor -- I now know that every woman's experience is different and amazing. It changes who she is to the core. 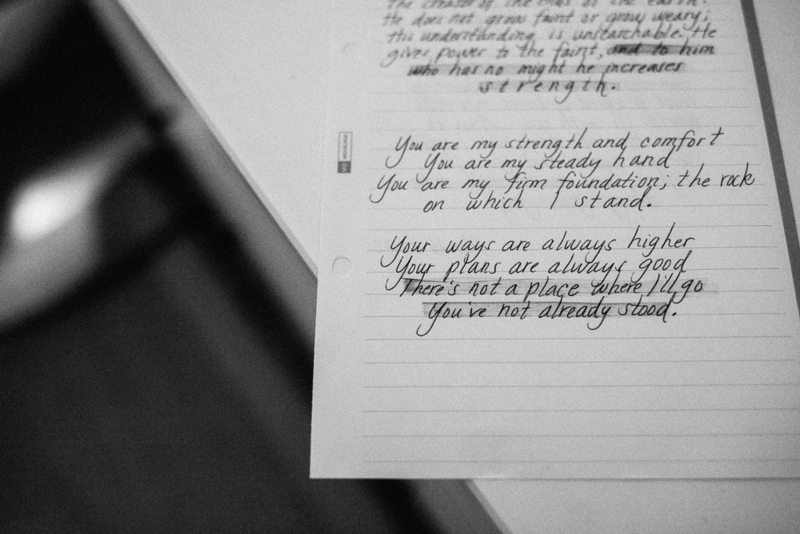 It pushes her mentally and physically and makes her realize that she is stronger than she ever imagined. 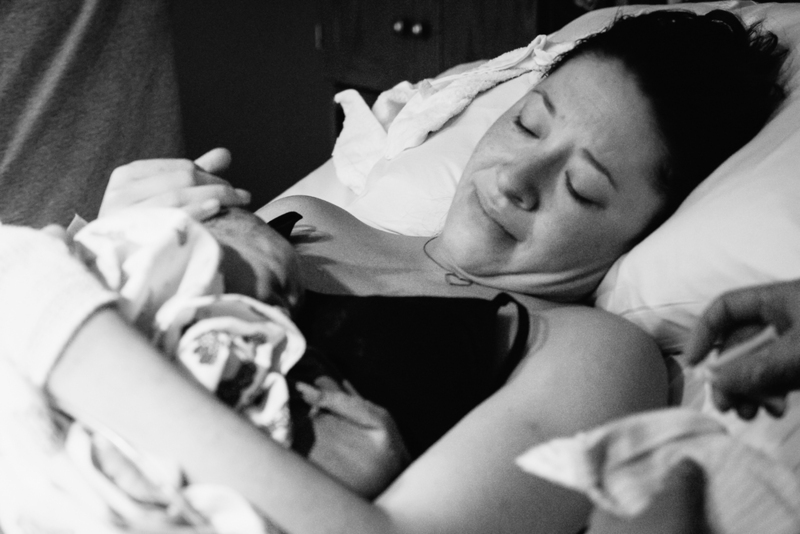 A woman's birth story is life-changing, and it's worth capturing, remembering, and cherishing forever. 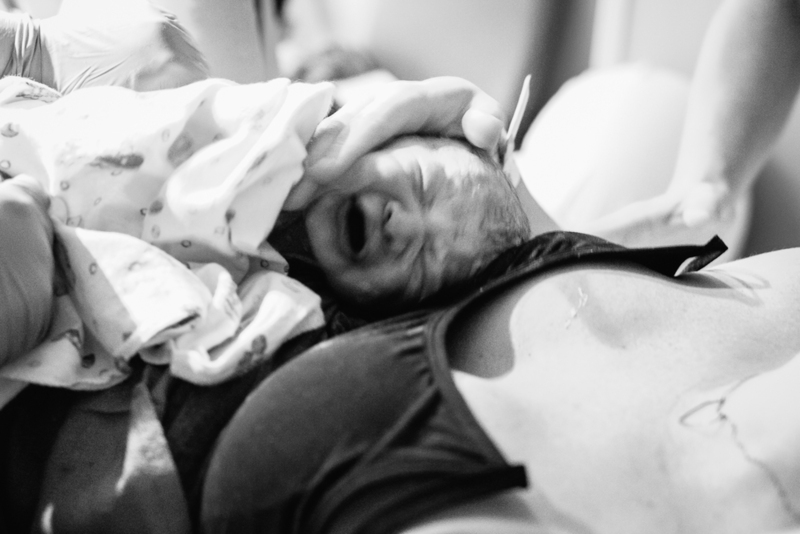 So why am I now so passionate about capturing these moments for other mothers and families? Not only have I now experienced and felt the overwhelming, unforgettable emotions that come along with the process, but I know how extremely fast it goes. I labored for almost 48 hours, but now looking back on those hours it seems like it was a quick blur. It was especially a blur once Blaine was born... 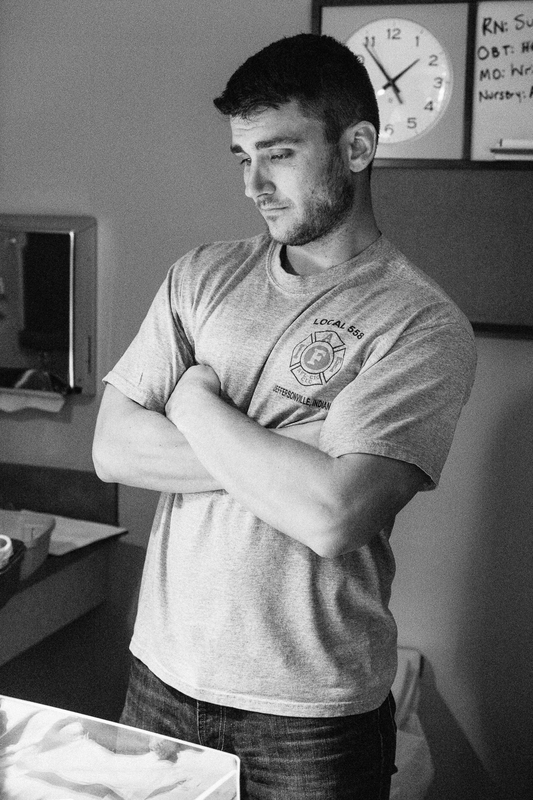 He was having difficulty breathing, so they whisked him away to the nursery. I didn't have time to cuddle him skin-to-skin, to count his little fingers and toes, to look at his teeny tiny features and tell him how much I loved him. 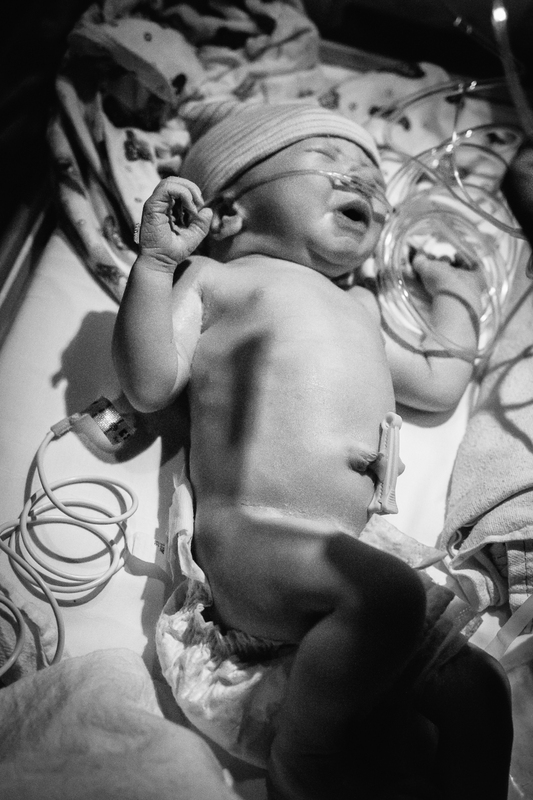 Within minutes of being born, he was taken away to get the care that he needed. Don't get me wrong, I wouldn't have had it any other way because his safety and health was obviously most important... But it all happened so quickly, I wasn't able to "soak it all in" and let those special moments settle into my memory. 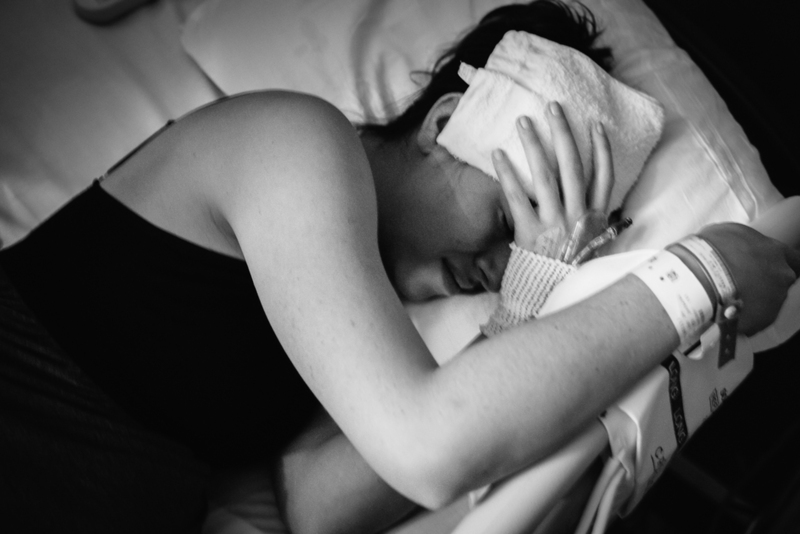 Luckily, our doula had my camera and snapped photos throughout the labor and delivery. She captured our birth story, and for that I will always be thankful. 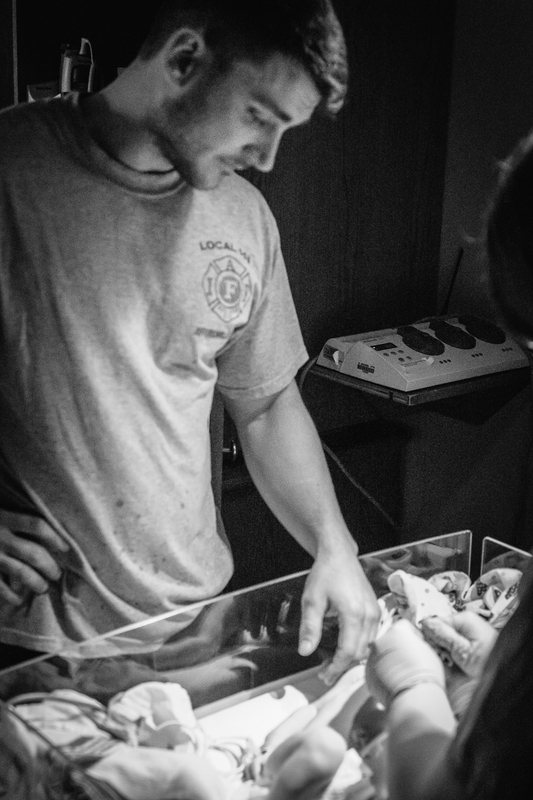 I now get to look back through those photos and see the moment my baby boy took his first breath. I can see my relief and joy and the happiness in my husband's face as he looks at our son for the first time. 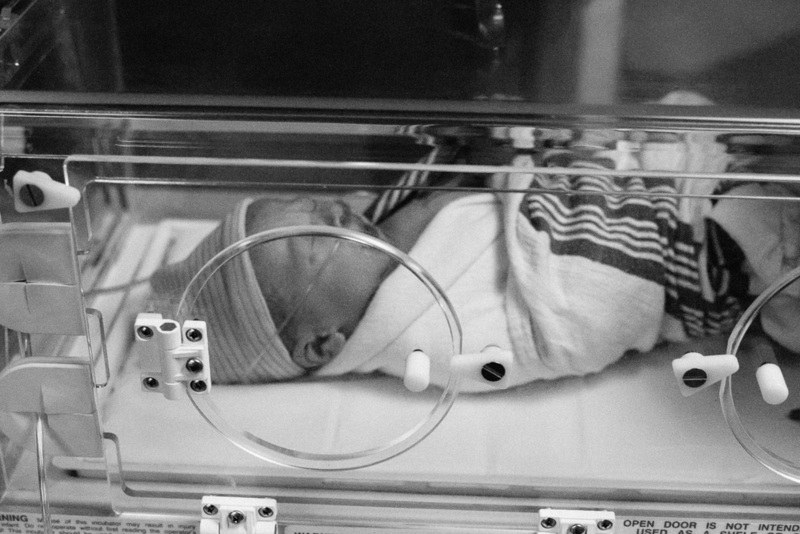 When they took Blaine away and I wasn't able to witness his first minutes of life, I have photos that captured it all. 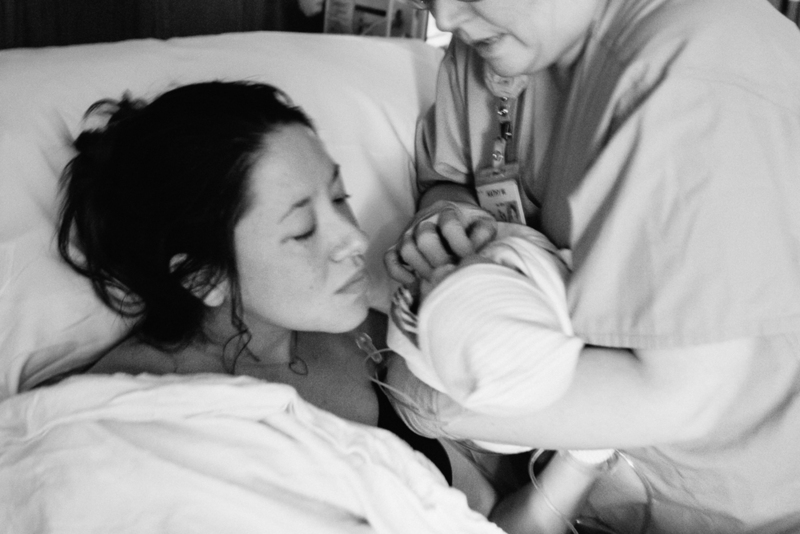 These photos that tell the story of my son's birth are now my most treasured possession, and I am beyond grateful that our doula was there to capture it. While I feel nervous and vulnerable in sharing these personal moments, I want to share it because it has shaped who I am and why I feel so strongly about documenting this time in other women and familieslives. I continued to progress quickly, until I was 9-10 centimeters. We later found out that Blaine had a nuchal cord (around his neck), which was preventing him from dropping into my pelvis like he needed to. With the help of the amazing nurses, our doula, and my husband, I was able to try different positions and labor in the tub, which helped our little guy drop to where he needed to be. About 12 hours after reaching the hospital, our baby BOY arrived. Waiting to find out his gender was well worth the wait! Blaine's nurse quickly realized he was having difficulty breathing, so she took him to the warmer to further assess him. She soon decided it would be best to take him to the nursery so he could get on oxygen and have chest x-rays. Just like that, he was whisked out. My husband went with him, which made me feel better, but it was a strange feeling going through the long hours of labor and not having my baby boy with me at the end. Luckily the sweet nurse brought him over to me before leaving so I could give him a kiss! Blaine stayed in the nursery for the next 5-6 hours, receiving oxygen and being monitored. Our strong boy was able to come off the oxygen quickly and soon got to come stay with us in our room, which made this momma happy! I finally got to hold my little guy and tell him how happy I was to finally meet him. He was happy, alert, and looking straight into my eyes as I talked to him. It was a moment I'll never forget for as long as I live. Our story continues as we adjust to life with our sweet boy. We have a lot to learn as we venture through this parenthood journey and we know it will be an amazing adventure. Day after day we realize how blessed we are that God gave us this gift... To love and care for our baby boy. While I know there will be many ups and downs along the way, I know it will be the greatest, most important thing we will ever do in life. I have a newfound appreciation for all parents out there and am thankful that I now get to know the love that I've heard so many talk about... The love for your child is indescribable, and I now understand how true that is.